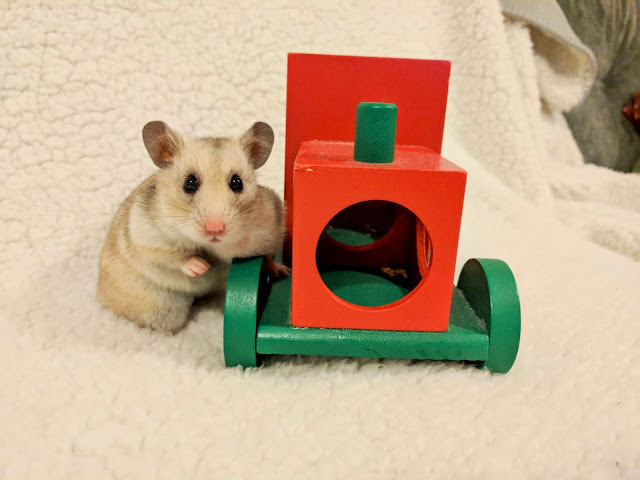 Today's post is a little introduction to our little hamster Reggie, or Regina if you are calling her by her full name. 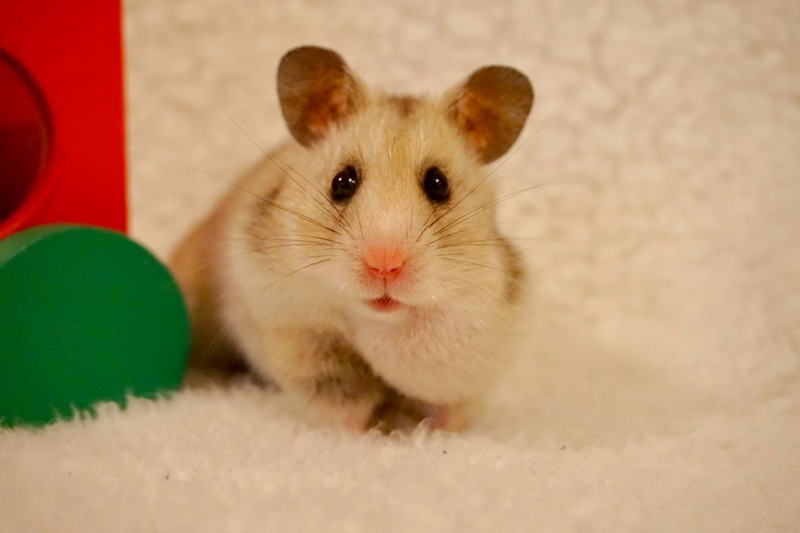 Seeing as we currently rent and couldn't get a cat or dog, we decided to get a hamster as our pet. She's coming up to one year old in March and we absolutely adore her, and I wanted to share her with you today. She is an absolute treat and super easy to look after. I've never had a hamster growing up so its been an experience! She loves to run in her wheel, eat banana chunks and chew on her wooden toys while we watch TV. She's not super into cuddles but doesn't bite so it's ok! The only thing at the minute is she has a little cyst in her cheek which we took her vets over, unfortunately there isn't much we can do without possible surgery which could be risky for such a tiny animal. We do check on this daily and she's not in any pain from it, so at the moment it's just an ongoing thing. She's still eating and drinking normally and is super energetic. 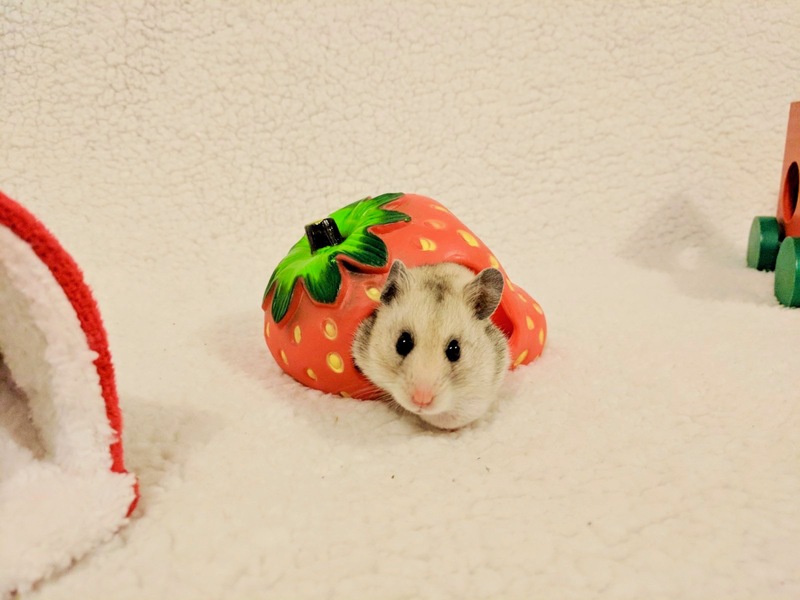 I can't wait to celebrate her one year birthday by making a hamster sized cake which I'll be sure to post on instagram!